Steel: Remove rust by sand blasting. 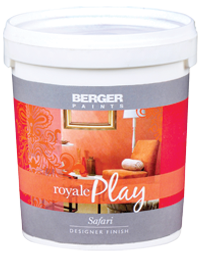 Apply one coat of Berger Redoxide Primer. 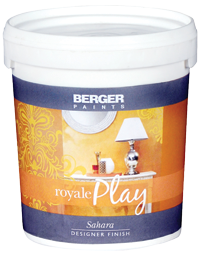 Wood: Clean, sand and treat the surface with Berger Wood Preservative. 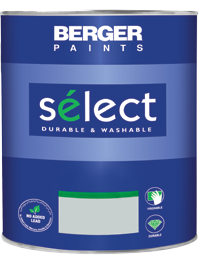 Masonry: Clean thoroughly and apply the Berger PVA Primer or Berger Synthetic Primer. 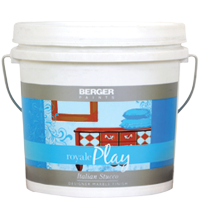 Wood: Apply one coat of Berger Wood Primer, and follow it up with two coats of Berger Stucco. Finally, apply two coats of Select ALL IN ONE. Masonry: Apply two coats of Berger Stucco (only for interiors) and two coats of Select ALL IN ONE.